When most people think about Asian food in San Diego they think about the Convoy District. They’re certainly not all wrong to do so. San Diego doesn’t have a “Chinatown” or a “Little Tokyo” (though it does, supposedly, have a “Little Saigon”). In a sense, though, the Convoy is all of that. That doesn’t, however, mean the Convoy is the only place to get good Asian food in San Diego. There are great Asian spots all over the city and county. Take, for example, Izakaya Masa (928 Fort Stockton Drive) in Mission Hills. Japanese Izakayas are, essentially, the original gastropubs: places Japanese businessmen go to drink sake with tasty food to keep them there. Masa is San Diego’s best representation of that genre. Masa’s standout is the hakata ramen, featuring a broth coaxed from roasted pork bones that leaves you with no doubt the source of that passionately deep flavor. Another superb choice at Masa is the ankimo, pressed monkfish liver which might just be an ever-so-slightly seafood inflected doppelganger for foie gras with the rich and creamy livers accompanied by chopped chives, spinach and ponzu sauce. If there’s a zone in San Diego to rival the Convoy for Asian food it would be the “Little Saigon” stretch of City Heights. 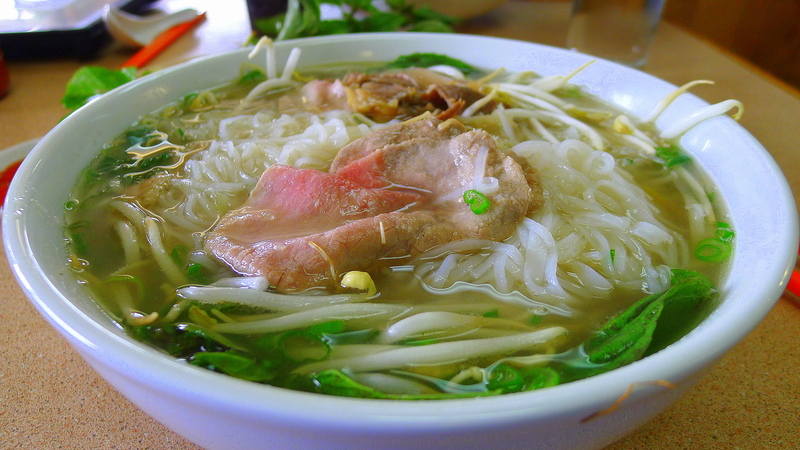 The single best bowl of pho in San Diego is at Phở Hòa (4717 El Cajon Boulevard, City Heights). Featuring a broth that is crystal clear but with a richness that speaks of beef bones and oxtails, charred onions, roasted ginger and exotic spices, the star of the bowl was the noodles. Rich and tender, those noodles take on the essence of the broth but also bring to the party their own flavor. “Little Saigon” isn’t all Vietnamese. 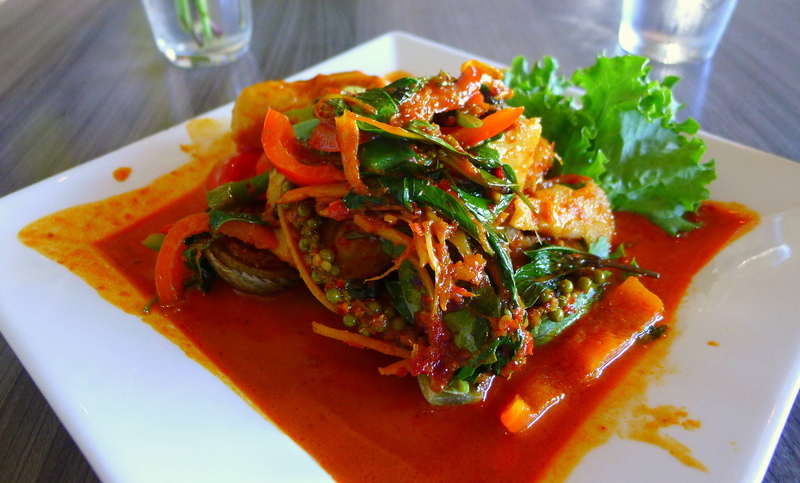 A trip there is worth it for the adventure of padaek and Lao restaurant, Sang Dao (5421 El Cajon Blvd.). Perhaps the best dish there is the Lao version of papaya salad, a “Thai” favorite of mine. And with my first bite of this otherwise familiar dish I was introduced to padaek, the Lao take on fish sauce (or, more accurately, its profoundly fermented, evil twin). Nuclear in pungency, a result of the long fermentation process that gives it a thicker and richer flavor, padaek’s aroma is likely detectable a block away. My first impression was, not to put too fine a point on it, less than favorable. By my second visit I’d actually found myself acquiring a taste for the stuff. I’ve been back a lot since. Thai cuisine may not be San Diego’s Asian strong point but Supannee House of Thai (2907 Shelter Island Drive) in Point Loma is the exception. 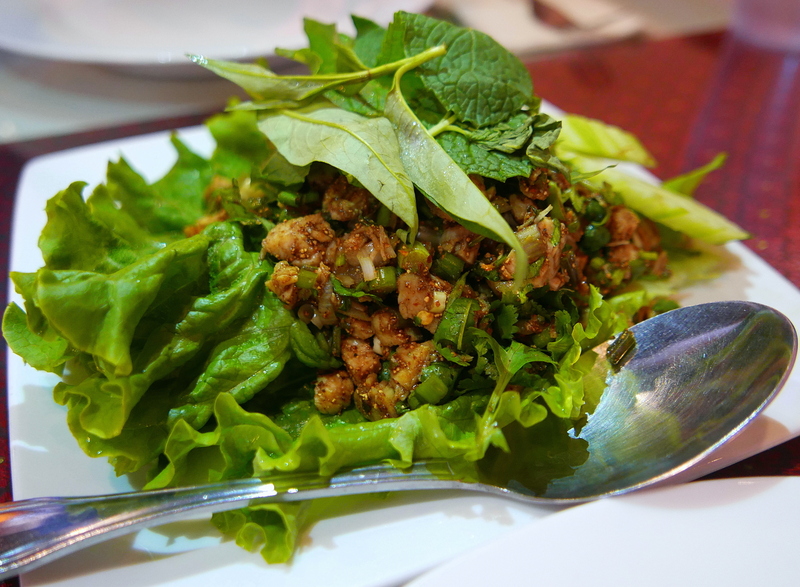 The best Thai food is all about balancing spicy, sour, sweet and salty elements. The result of that balance is the sensation of a mouth watering from heat with the other elements bringing the overall effect into harmony. It’s a lesson I learned from Supannee’s farm-to-table take on Thai perhaps best represented in their cod sautéed with fresh garlic and chili sauce, Thai and extraordinary pea eggplants (from the farm), with green peppercorns and Thai basil. 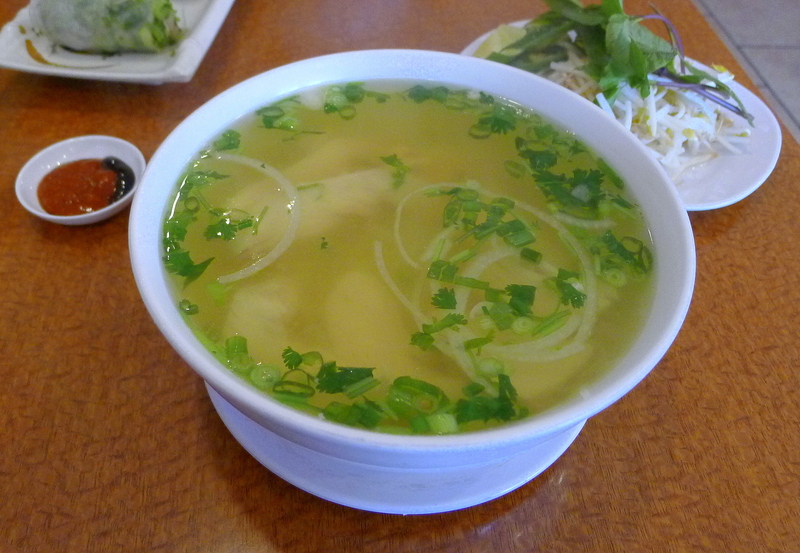 Mira Mesa is another of San Diego’s Asian center and is where you will find this town’s best bowl of pho ga, beef pho’s lighter and non-bovine cousin: Bolsa Vietnamese Restaurant (9225 Mira Mesa Boulevard, Suite 118. Where beef pho speaks of the muscular, pho ga whispers of delicacy. Bolsa achieves that, but does so with a broth that still manages to taste like the liquid essence of chicken. 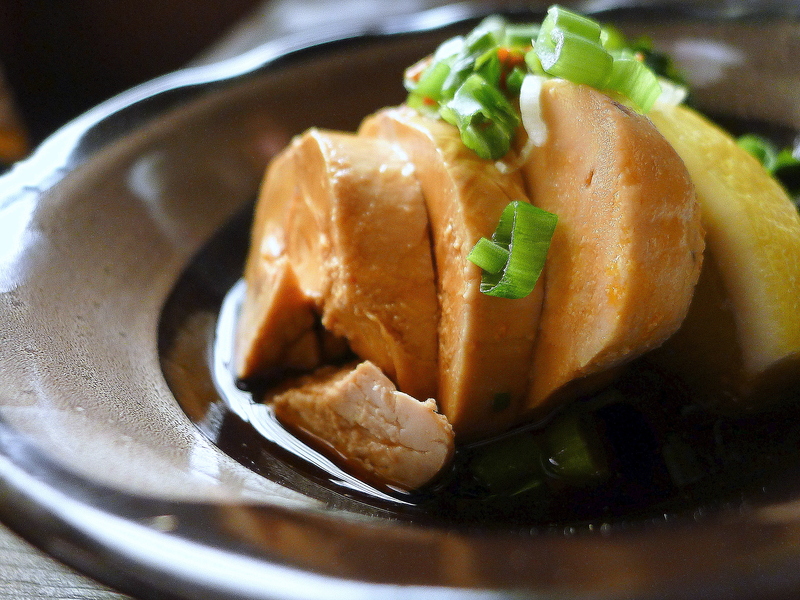 It is a soothing and powerful Vietnamese “answer” to Jewish penicillin. Perhaps the best place to experience Filipino food in San Diego County is at Tita’s Kitchenette (2720 East Plaza Boulevard) in National City. There’s nothing fancy about Tita’s. It is a grill, a large steam table, a phalanx of servers and a very long line stretching out the door. 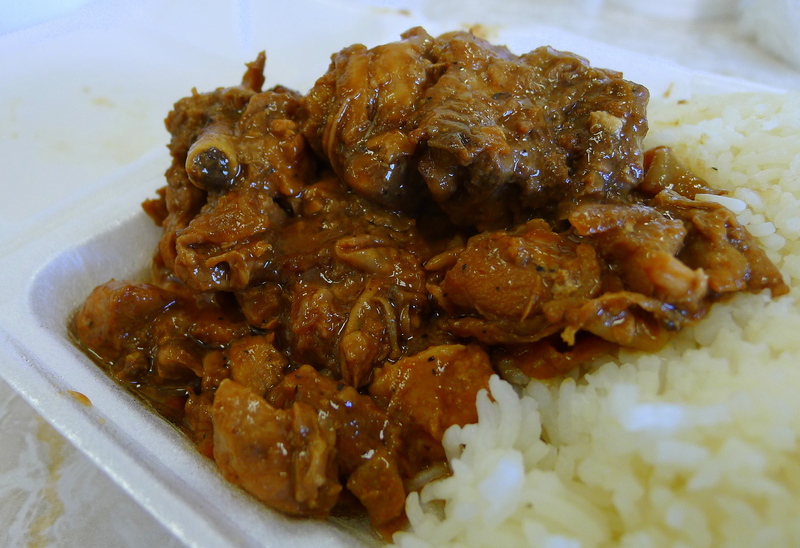 Try Tita’s chicken adobo—one of the Pinoy National Dishes—chicken meat stewed in soy sauce, vinegar, bay leaves, black pepper and garlic. The saltiness and deep umami of the soy is balanced by the vinegar’s acidity. It is not a balance achieved through elegant harmony of ingredients but rather by the fireworks from their collision. If there’s one Asian nation that is not particularly well represented outside the Convoy it’s Chinese. But for a taste of what we used to think of as “Chinese” (more like Chinese-American) go to China 1968 (500 Broadway) in El Cajon. 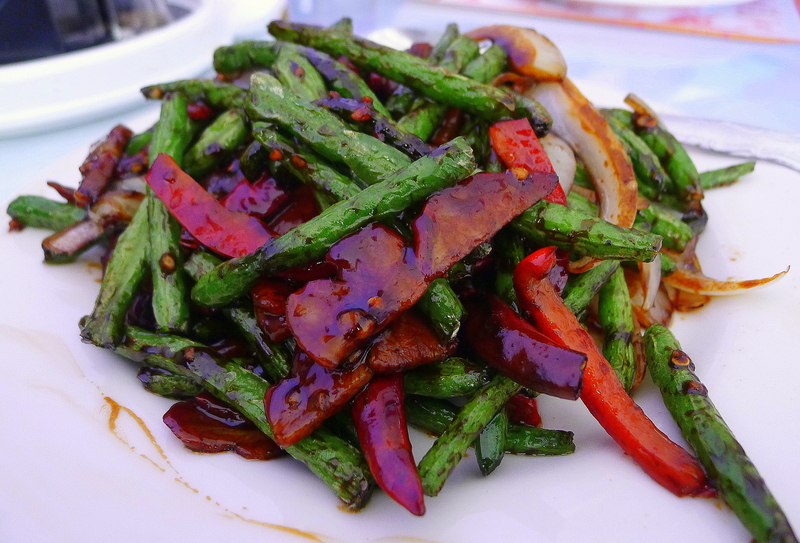 Perhaps the best dish there is the Szechuan braised string beans. Fried to perfection then stir-fried with dried chili peppers, onions and pork, this dish hits savory, umami and spicy notes. 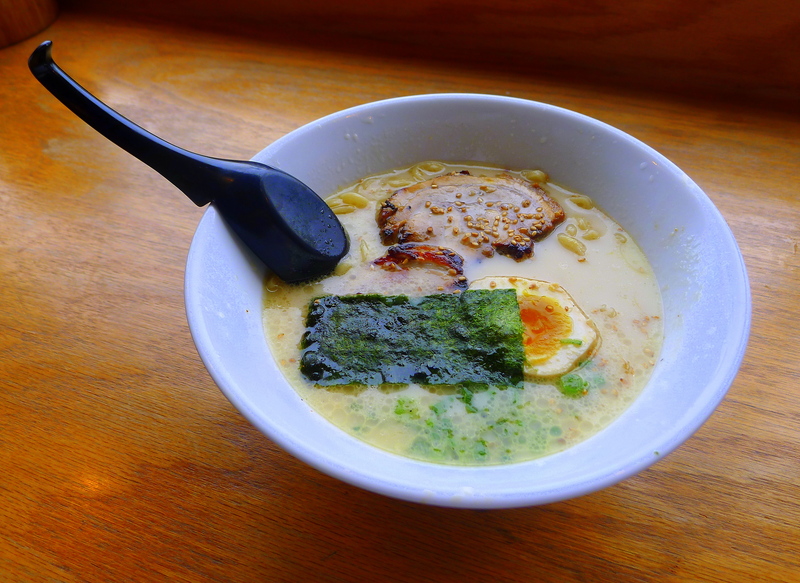 San Diego has extraordinary ramen places, and one of the best is Tajima Hillcrest (3739 6th Avenue, Suite B). It offers a lot of good dishes but none better than the curry ramen. Curry may not sound like a Japanese flavor, but it won the hearts and minds of Japanese soldiers (and thereafter the country) after introduction by the British in the Meiji era (1868–1912). Tajima’s ramen interpretation of curry makes perfect culinary sense, the rich broth blending happily with the aromatic curry spices. From the near-legendary work of at Yukito Ota at Sushi Ota (4529 Mission Bay Drive) in Pacific Beach to the edomae offerings at Sushi Tadokoro (2244 San Diego Avenue) in Old Town, much of the best sushi in San Diego is outside the Convoy. But for one that’s like no other go to the Wrench & Rodent Seabasstropub (1815 South Coast Highway) in Oceanside. 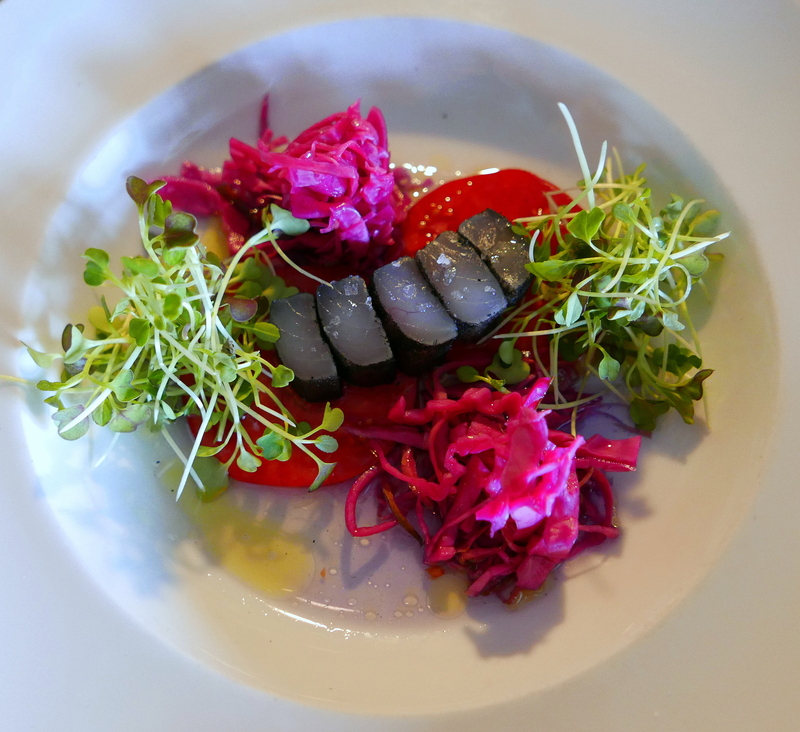 What Chef Davin Waite is doing there – unbelievably creative sushi-based dishes — is unlike what any chef (sushi or otherwise) is doing anywhere on the rock. It is unique. It is excellent. It deserves recognition beyond – far beyond – what it has received to date. I said that years ago and it has gotten quite a bit of recognition since. I say it again and it is still true. While the lack of a single “Chinatown” may seem, at first blush, to be a problem for Asian food in San Diego it may actually be a boon. There are good Asian restaurants all over San Diego County. From all over China to all over San Diego County, from mom and pops to high end places, there’s no shortage in quantity or quality of San Diego’s Asian offerings. There certainly are good Asian restaurants throughout San Diego, but the simple fact is that the Convoy District is Chinatown, Koreatown, Japantown and more all rolled into two square miles at the heart of the San Diego. We covered this extensively in last year’s Restaurant Guide. 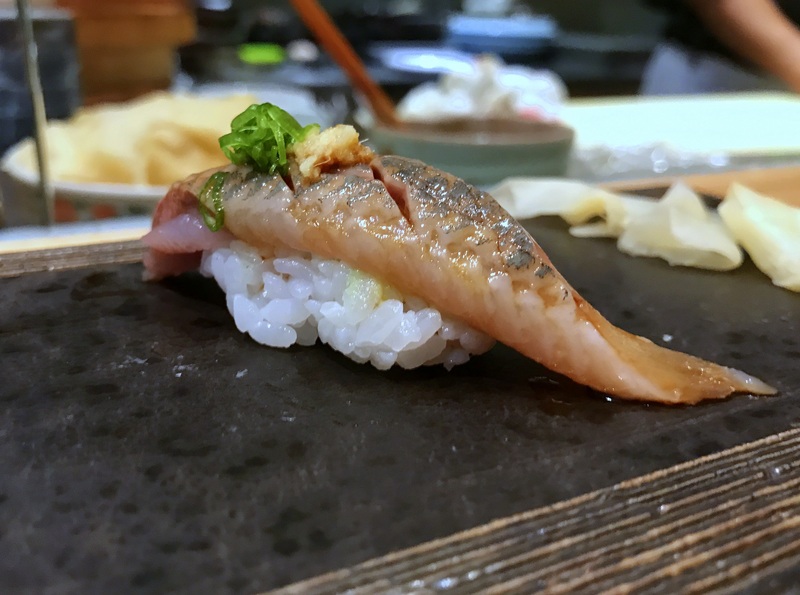 But, at the end of the day, there may be no more extraordinary meal in the Convoy than the omakase at Sushi Dokoro Shirahama (4212 Convoy Street) where itamae Koji Kotani’s strict interpretations of Edomai sushi will teach you something you did not know. There is no better Korean barbecue in San Diego than that at Dae Jang Keum (7905 Engineer Road) where the quality of the meats is superb but the fact they’re grilled over charcoal rather than electric heat. Shan Xi Magic Kitchen (4344 Convoy Street) is perhaps the best example of what San Diego does best with Chinese: regional cuisine, rather than the usual Americanized faux-Cantonese places. 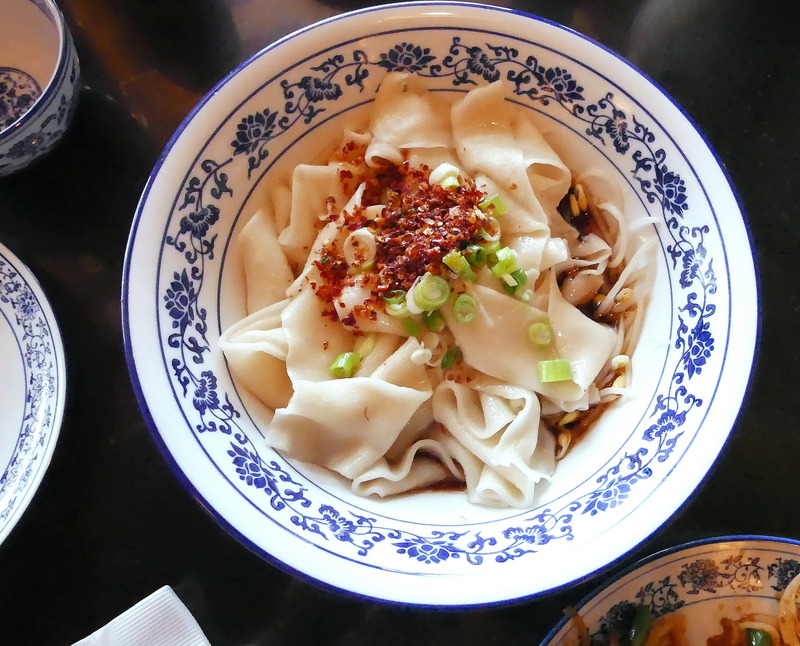 Their biang biang noodles is a dish I could happily eat every day. There may be no better all around Vietnamese restaurant in San Diego than Phuong Trang (4170 Convoy Street). The phở is good, but try the butter wings and shaken beef (bo luc lak). And for a unique take on Thai try the Issan (Northeastern Thai) food of Thai Papaya. 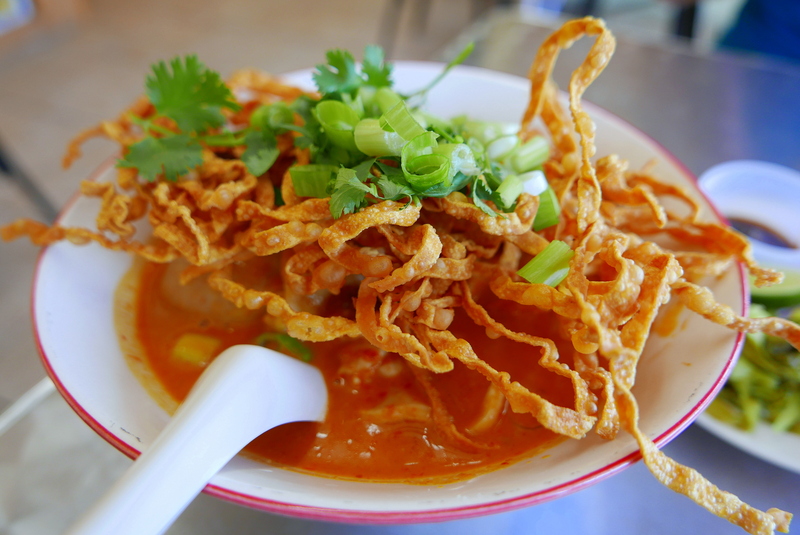 The som tam and larb are excellent, but the khao soi (more Northern than Issan) is one of the best noodle soups in town.